This was an opportunity to mix business with pleasure. 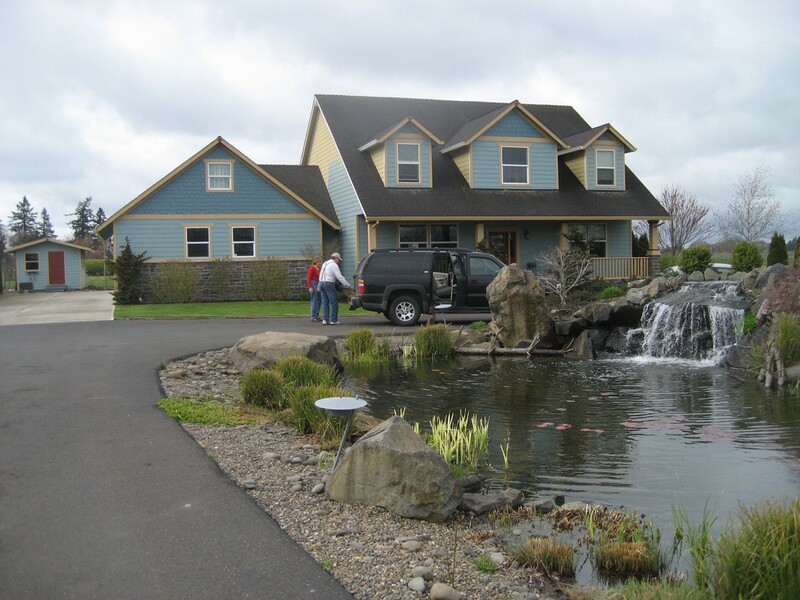 A necessary trip to Eugene, Oregon to visit a client was mixed with a weekend visit to Pat’s brother and sister-in-law. The United Airlines flight from Chicago was full and they were unable to seat us together making a long flight even longer. The flight did, however, depart and arrive on time. 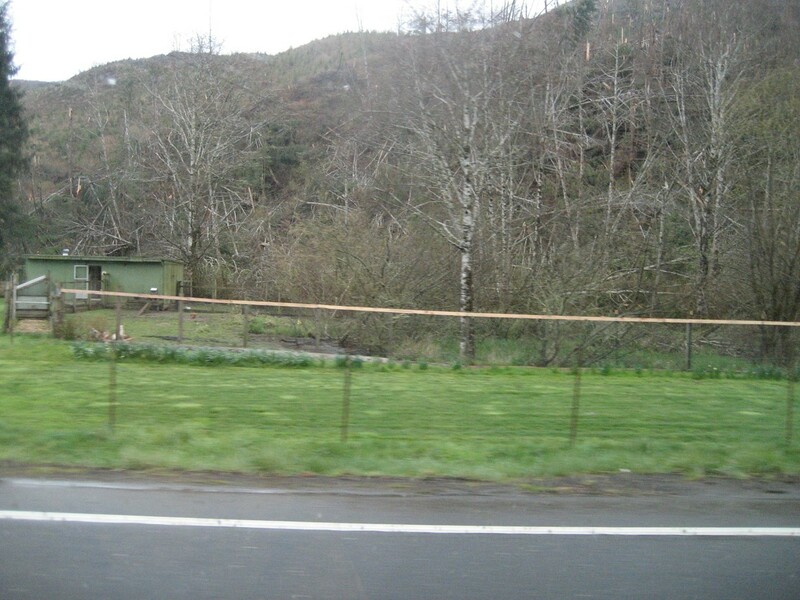 Our rental car was ready and a brief, 45-minute drive south had us arriving at Pat’s brother’s house. Since her brother was working Friday night, we spent the evening catching up with his wife, Peg and then headed off to bed suffering from the two-hour time difference from Chicago. Saturday morning was very relaxed and enjoyable. 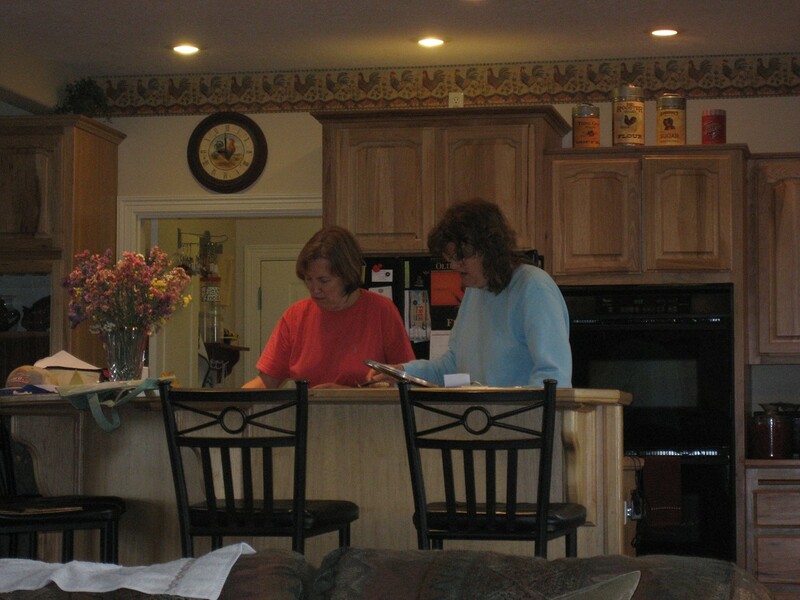 The women did the cooking and we all chatted about long ago friends and family. After breakfast there was a lot of talking before we got ourselves organized for the day’s travels. 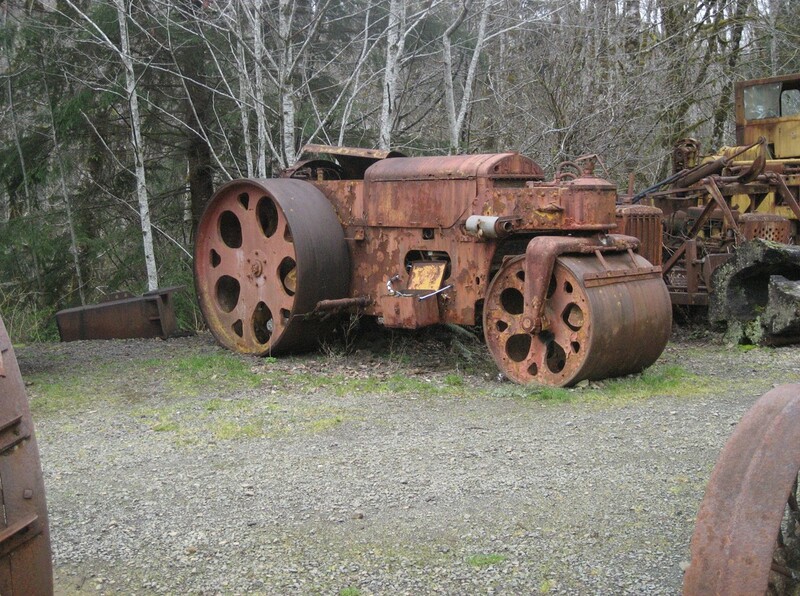 Finally, we headed for the Oregon coast. 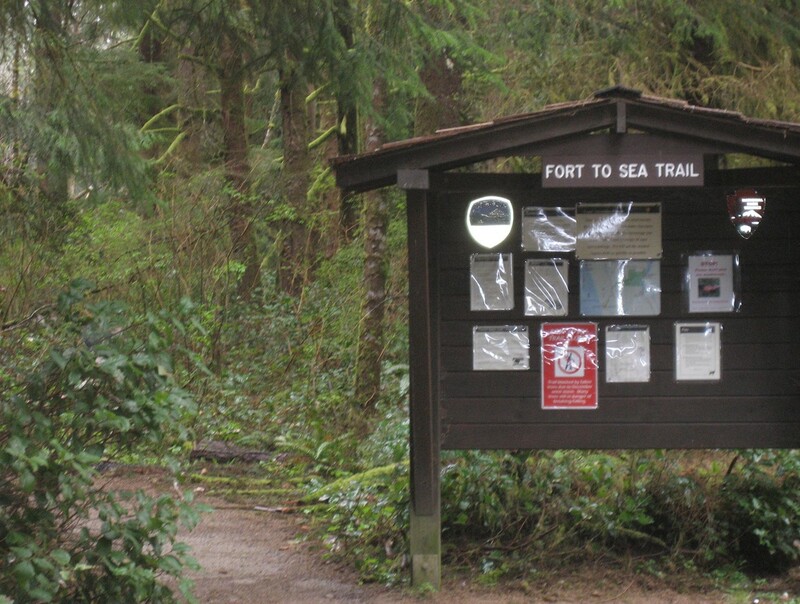 We drove up Interstate 5 to State 217 and then to Oregan 26, which took us to the coast. Along the way we made a brief rest stop at Camp 18. 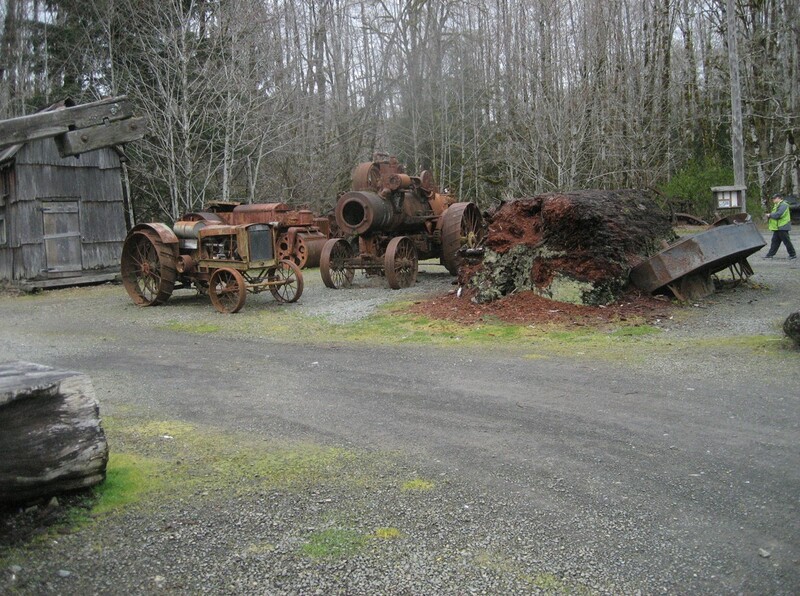 Camp 18 is a former logging camp with a terrific museum of old steam and diesel driving logging machinery. 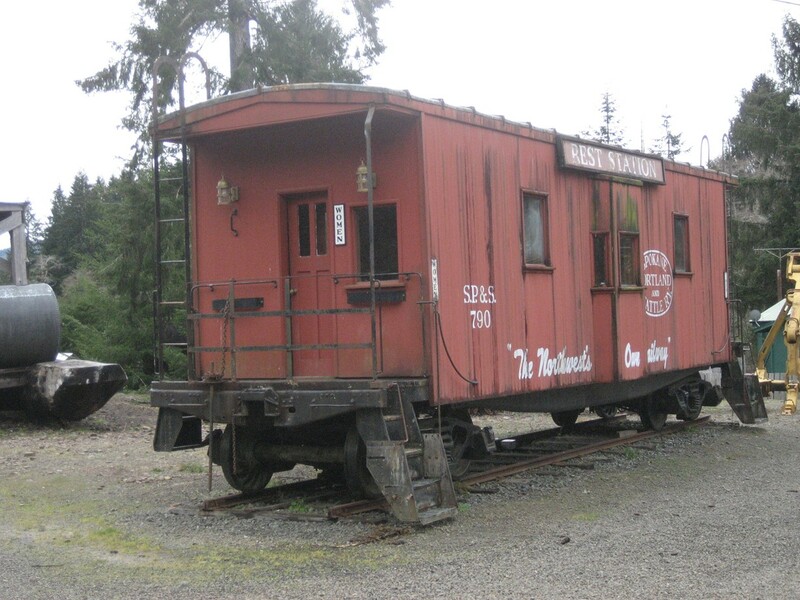 The caboose below had been outfitted to be a men and women’s restroom. We chose to go inside the restaurant building. 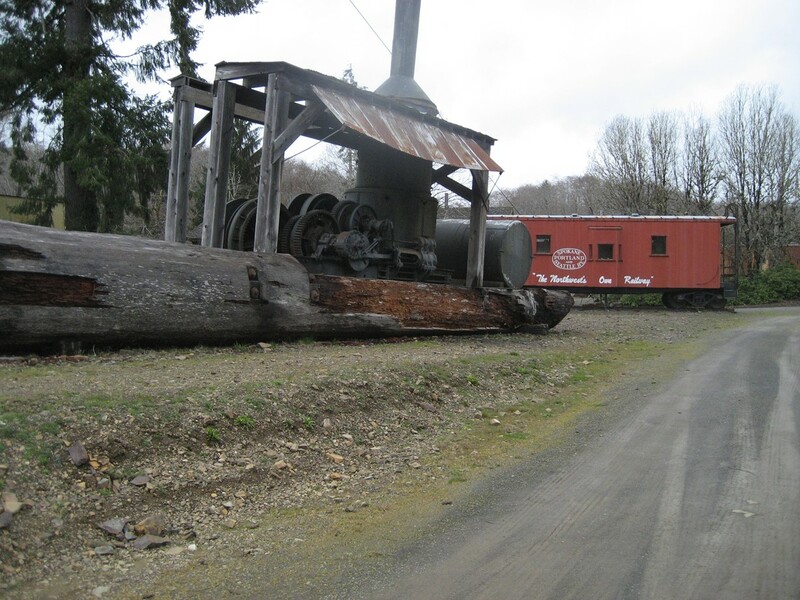 Various steam “mules” had formerly been used to drag the logs to the shipping points. 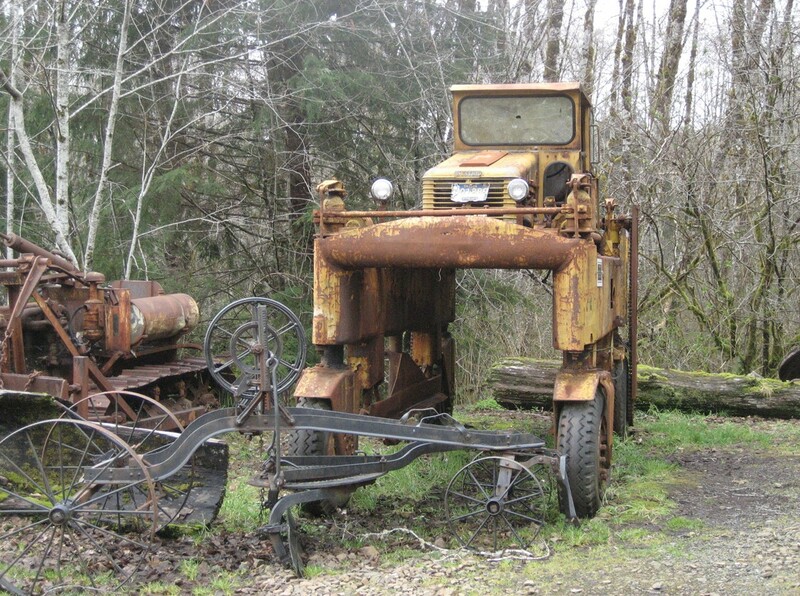 Below is an old fire truck to protect the logging site. 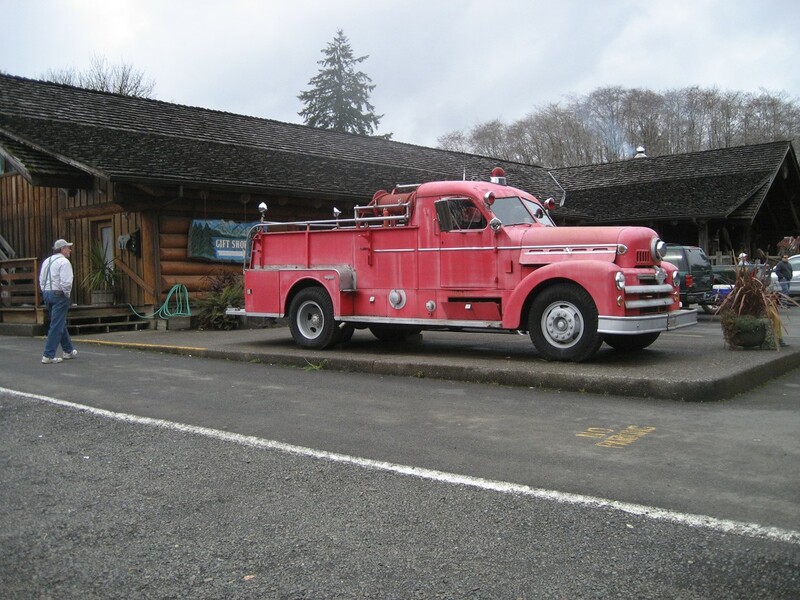 Even today, there was a small building that housed a water supply to be used in the case of a fire in the restaurant. 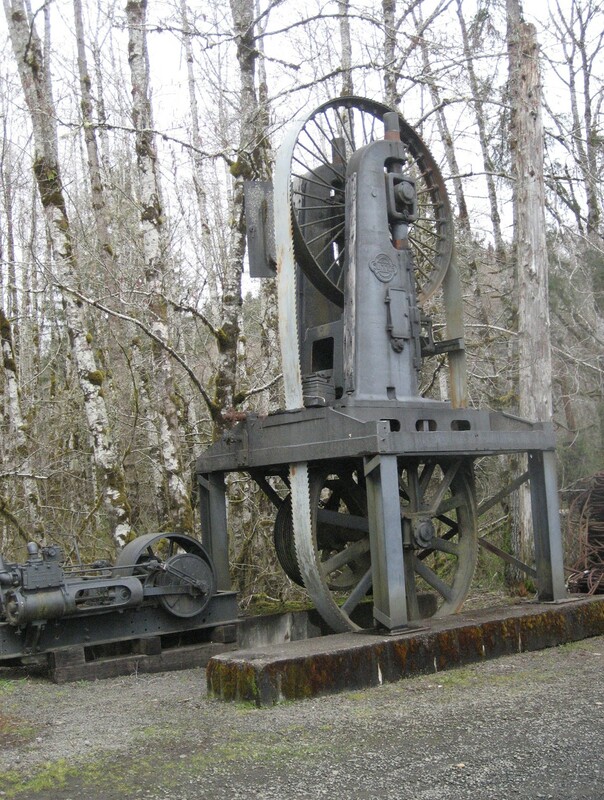 Below is a montage of pictures of some of the old machinery used in logging operations. 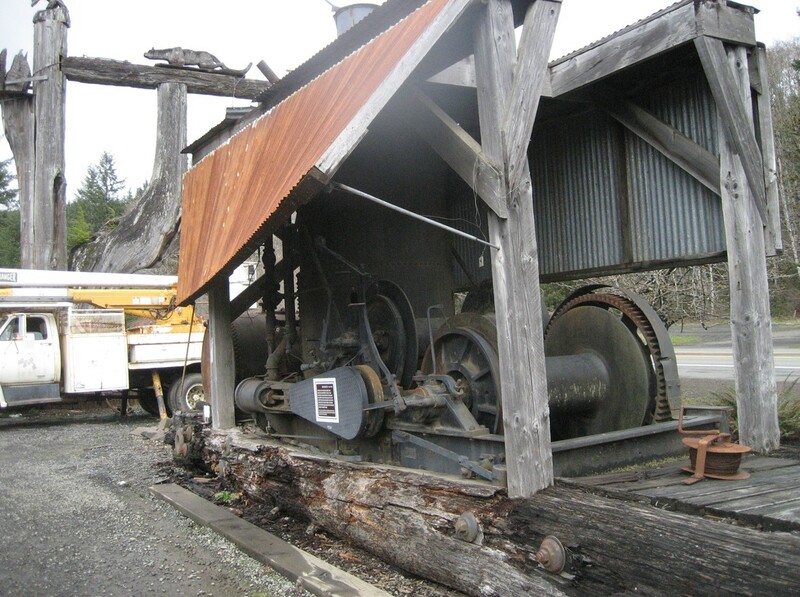 Below is an enormous band saw for slicing the timber logs into planks. 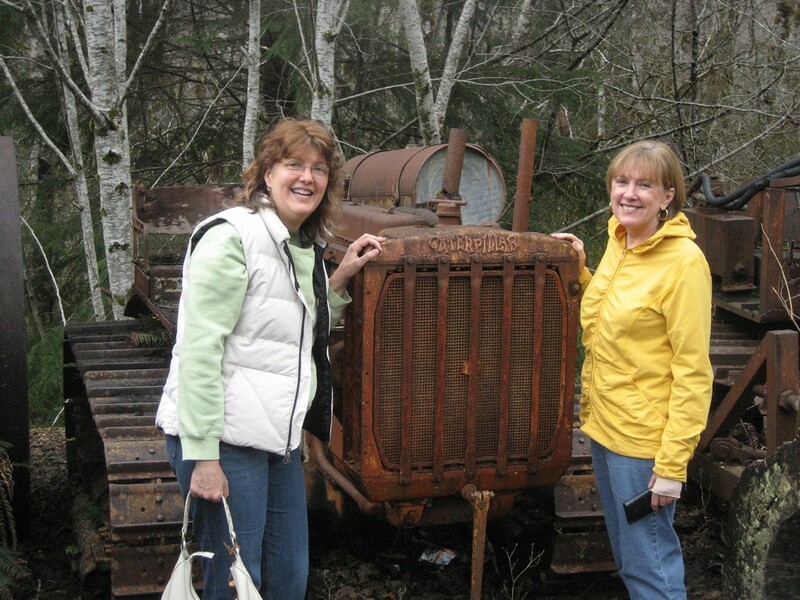 Here are Peg and Pat in front of an old Caterpillar tractor. 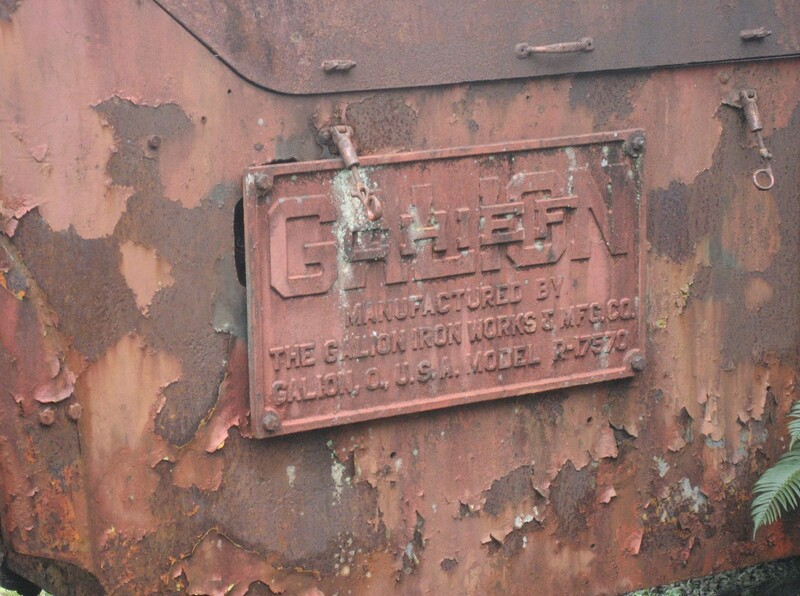 Notice the style of the Caterpillar logo on the front. From here we left and continued onto the Oregon Coast. 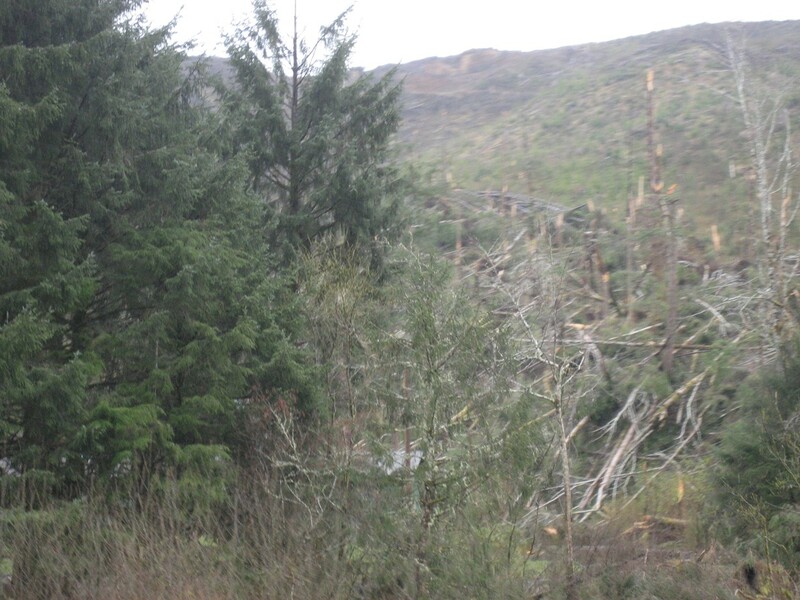 Along the way we were stunned by the destruction we observed from the severe storms that had gone through the area only a few months before. 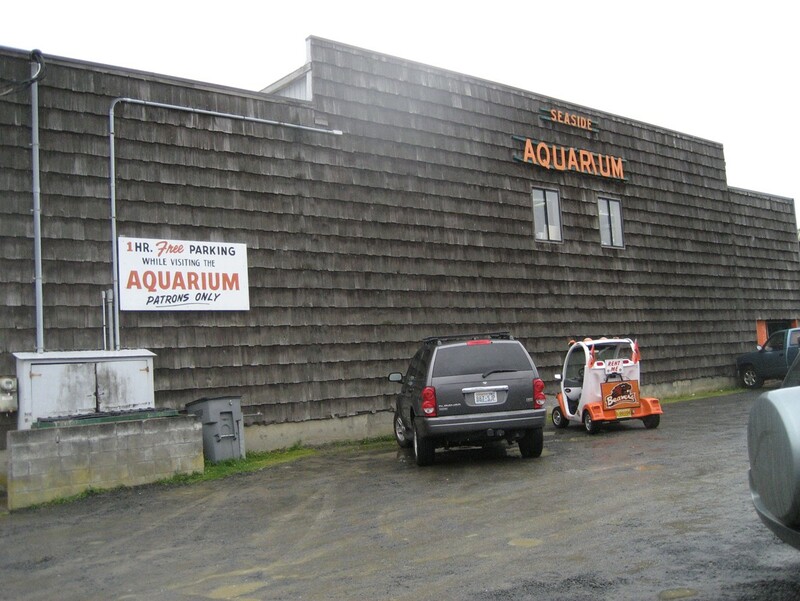 We stopped in the town of Seaside at the ocean and visited the Aquarium. 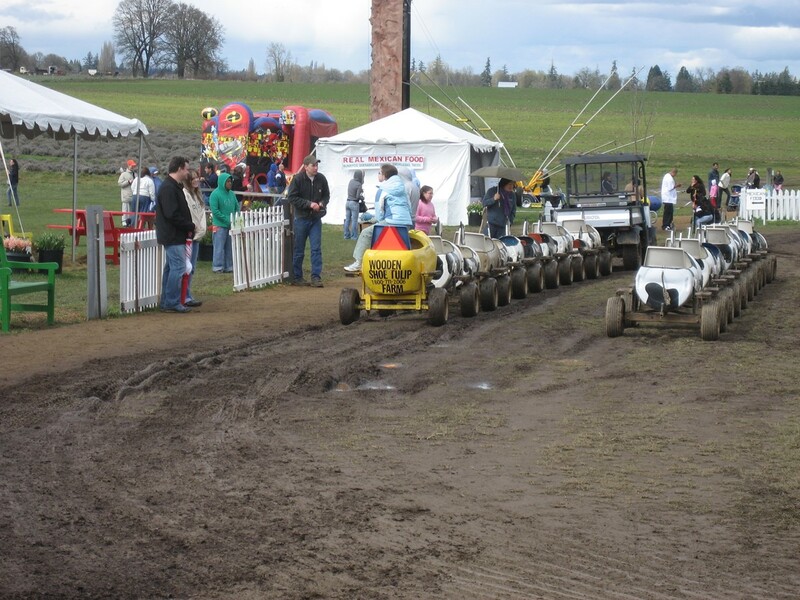 Notice the dune buggy parked in front. 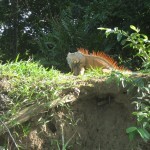 These were a regular sight along the coast. 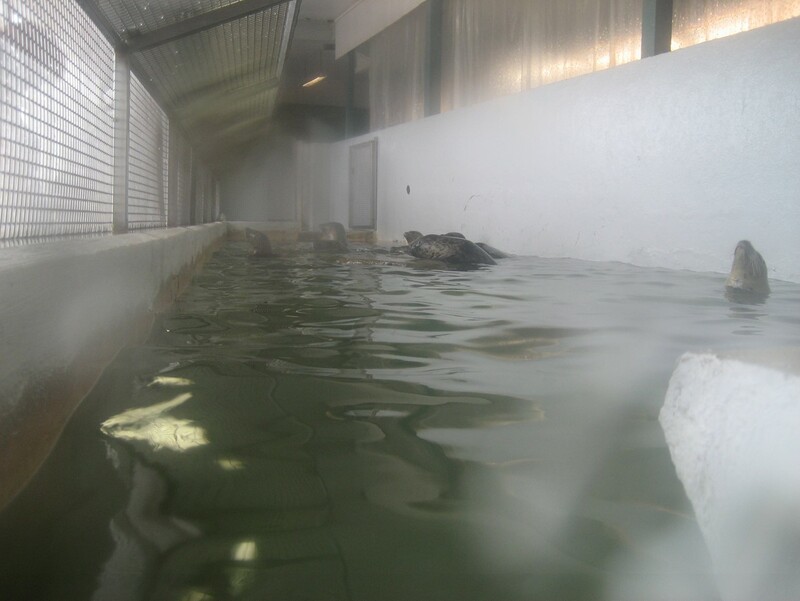 Inside, they had a tank with sea lions and for a few bucks they invited visitors to throw them some raw fish. 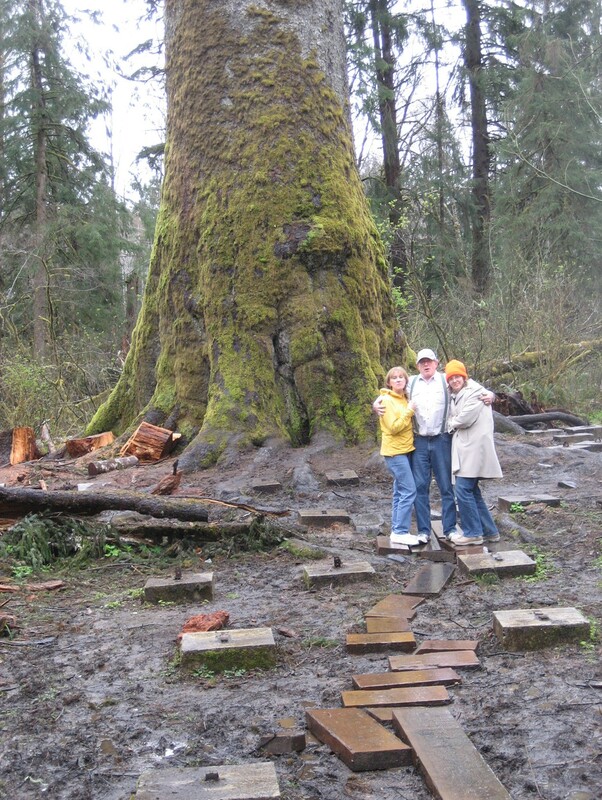 We then headed for the historic campground where Lewis and Clark spent the winter of 1805. 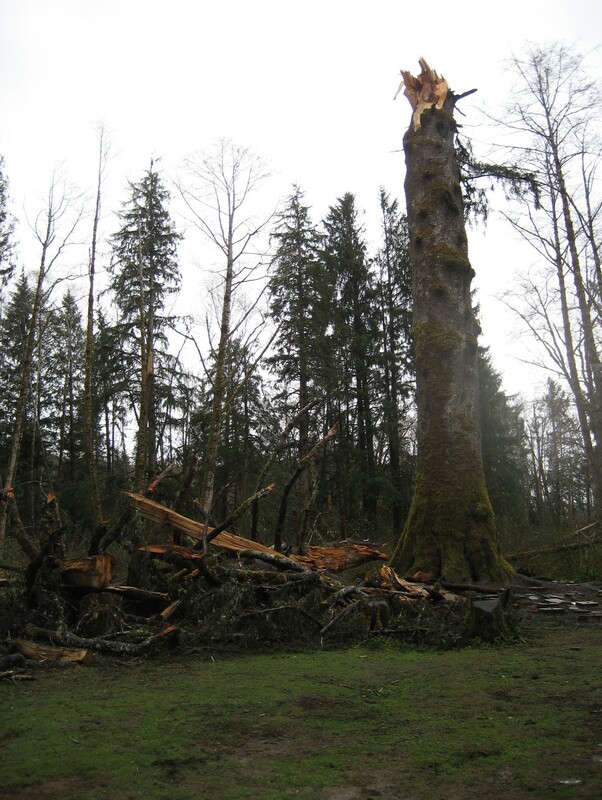 When we arrived, we found more tree destruction from the winds of a few months before. 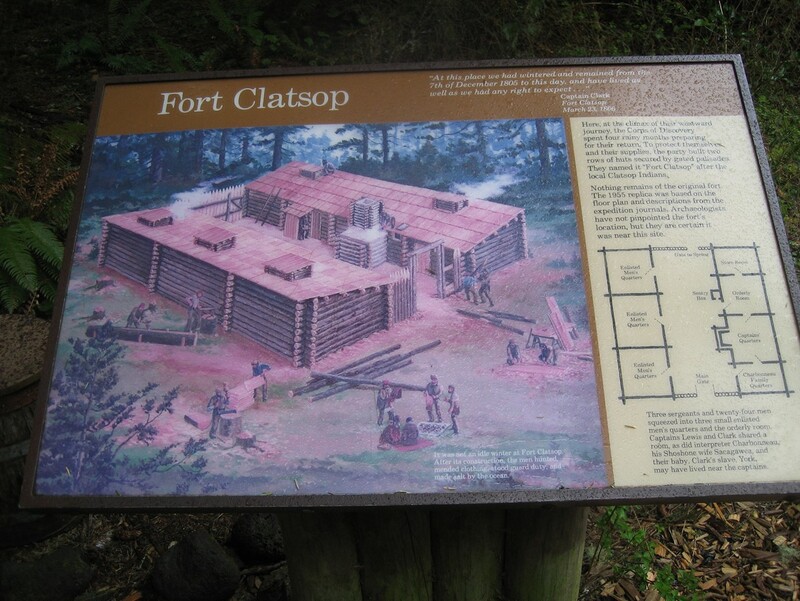 We also found a rebuilt Fort Clatsop. 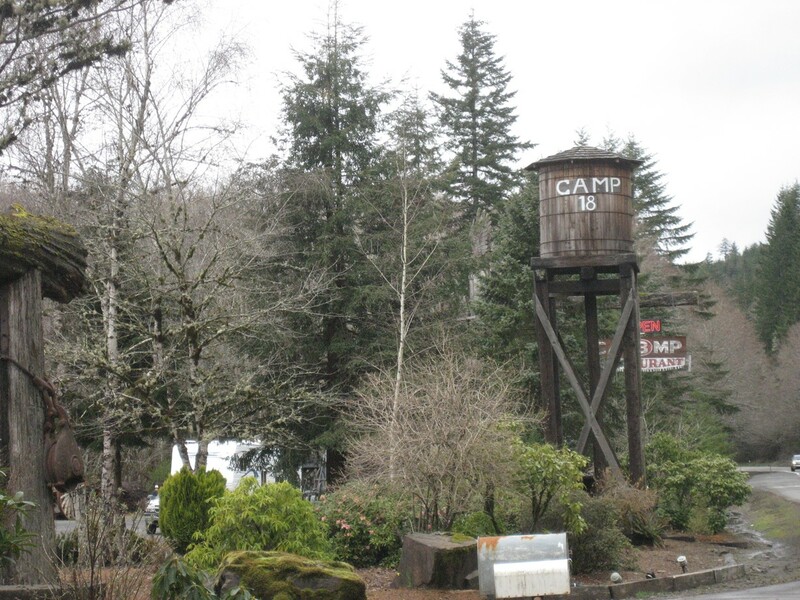 The original camp had been destroyed by an arsonist several years ago, but the design of the camp had been well documented so reconstruction was possible. 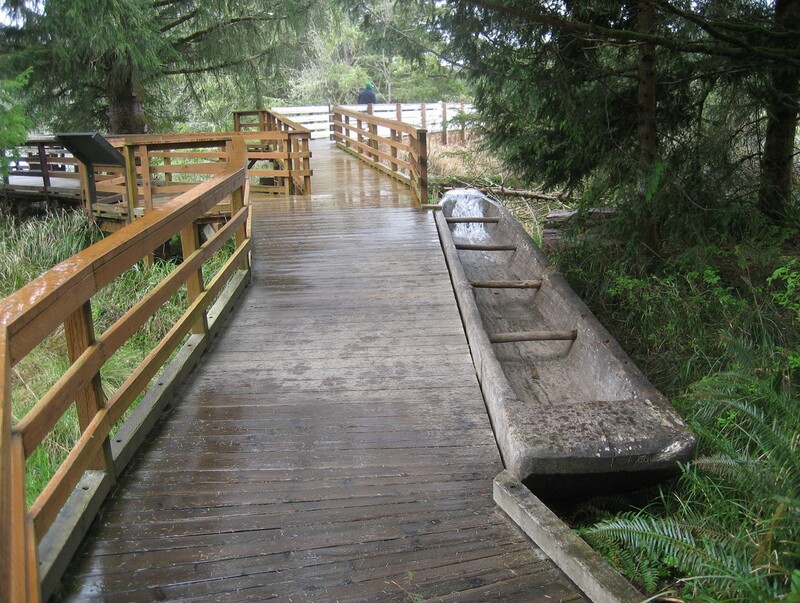 The river landing was only a short walk down to where the dugout canoes would have landed. 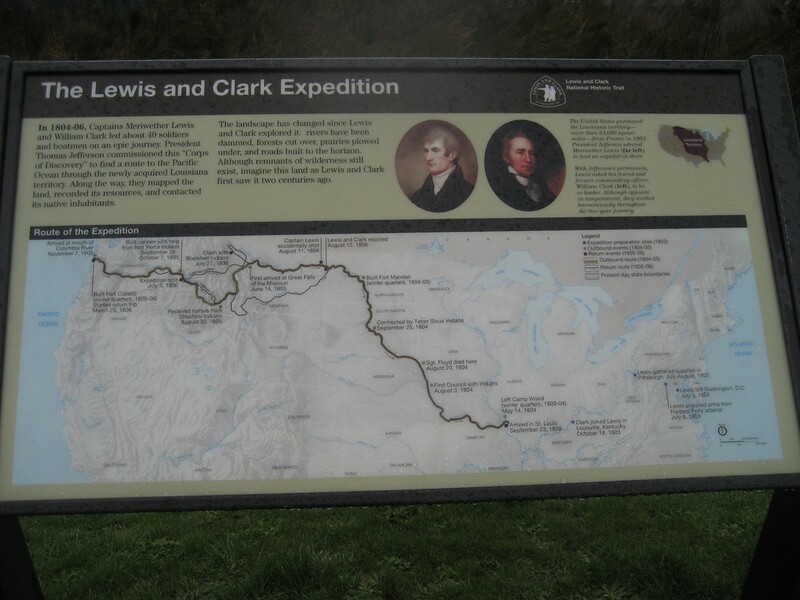 We saw a brief movie about the travels and exploits of the Lewis and Clark expedition. 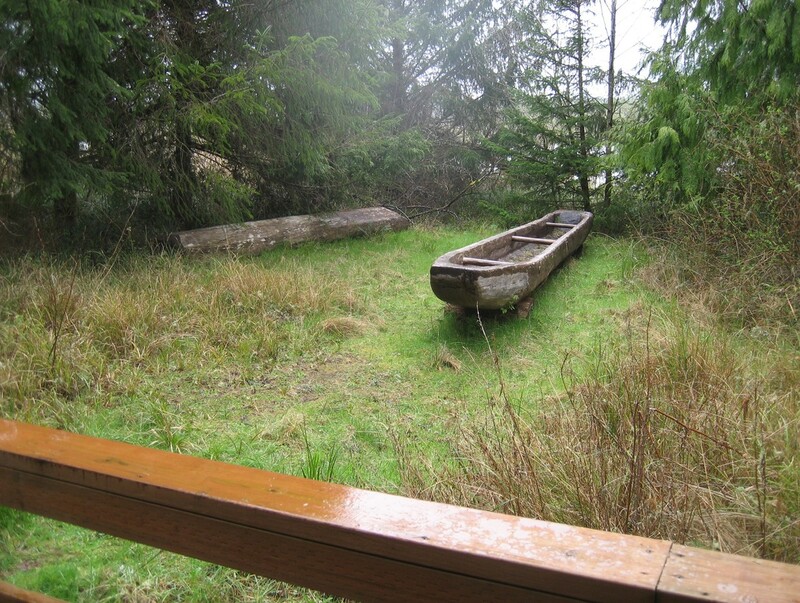 It was truly amazing how they navigated and persevered to make the long trek. 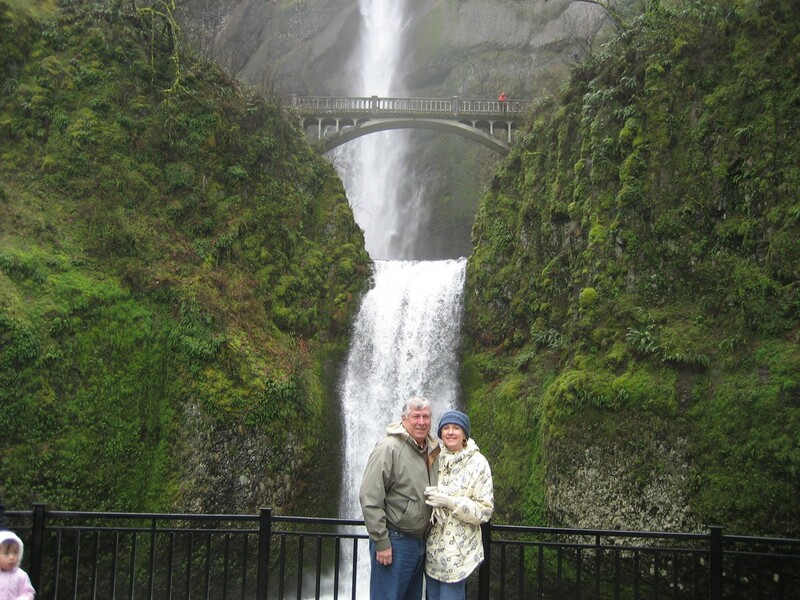 It was exciting to visit the spot where they reached their destination and the end of their trip. 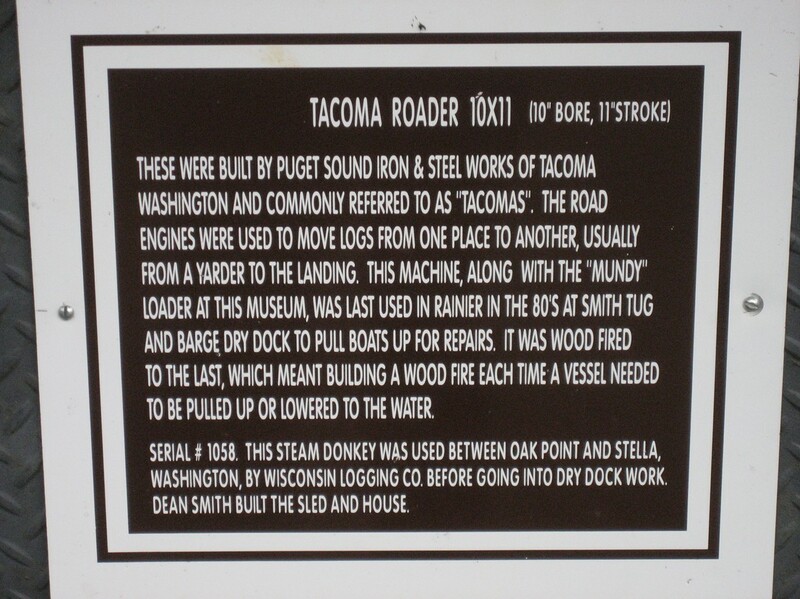 The following plaque describes the Corps of Discovery making five dugout canoes in ten days in spite of being very sick. 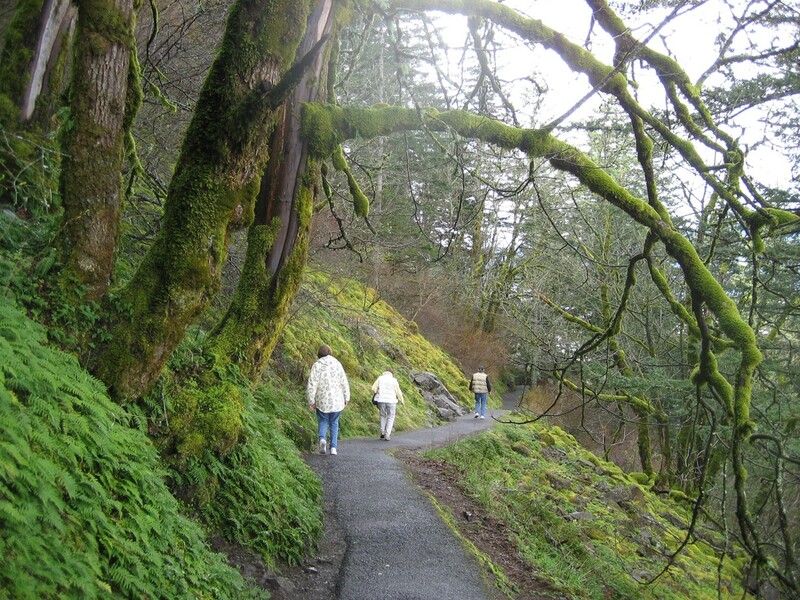 In spite of drizzly weather, the four of us were ready for some exercise in the form of a walk. We headed off to follow a trail down to the sea. 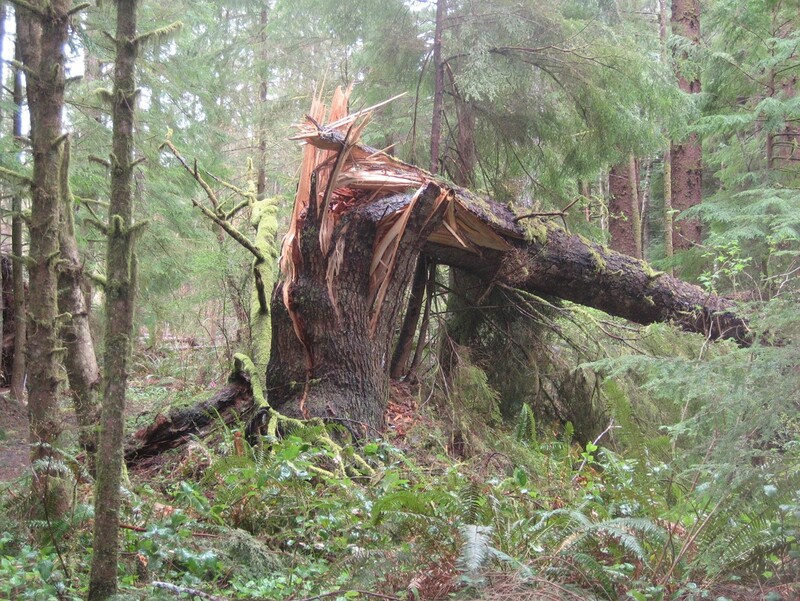 Along the way there were continuous reminders of the violence of the recent storms. 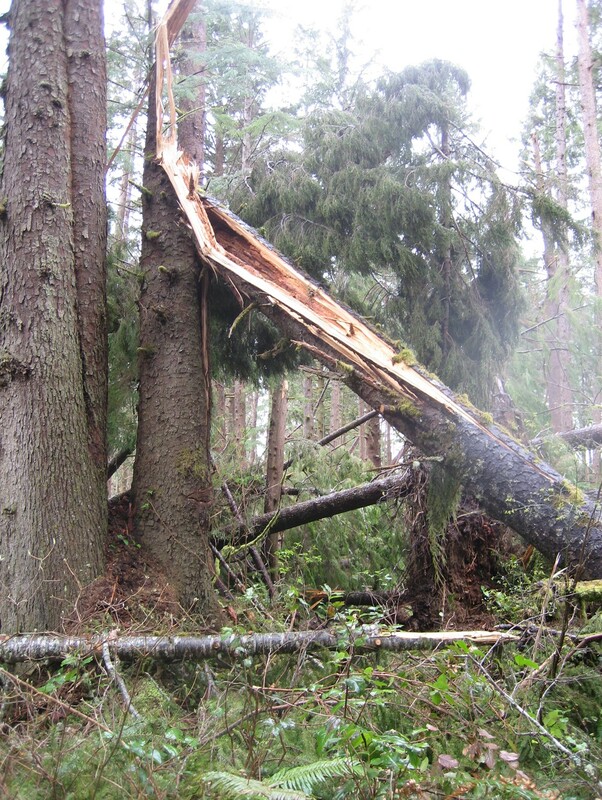 Many trees were snapped of like twigs. 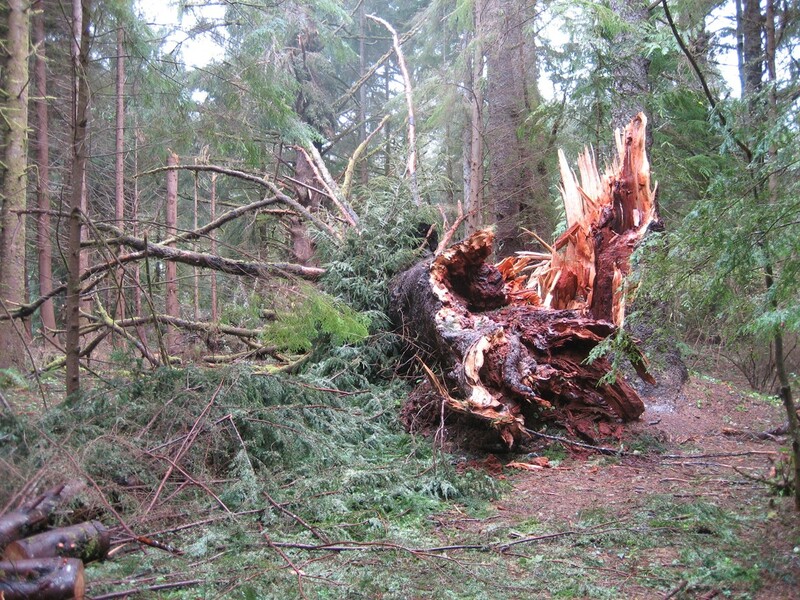 Others were blown over with their roots intact. 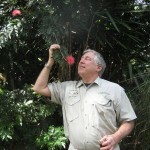 It was an awesome demonstration of the power of Mother Nature. 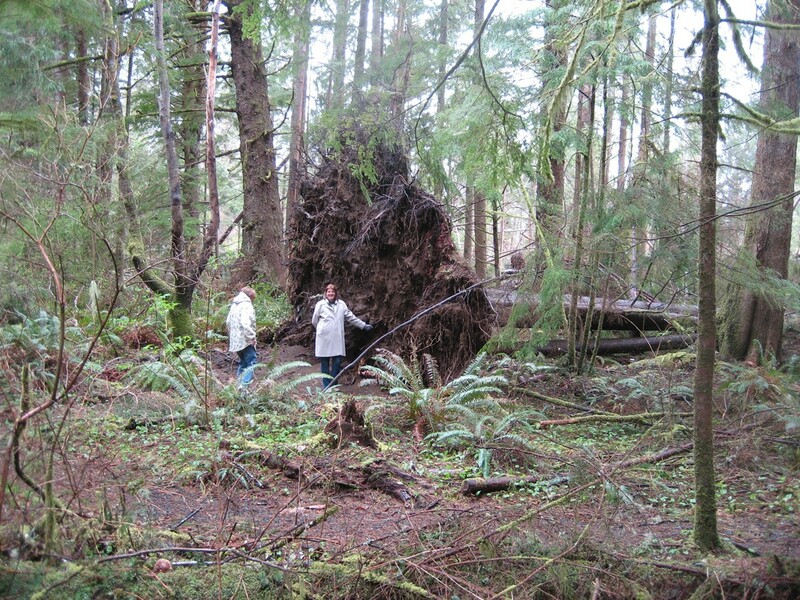 Below you can see the size of some of the trees that were uprooted by the storm. 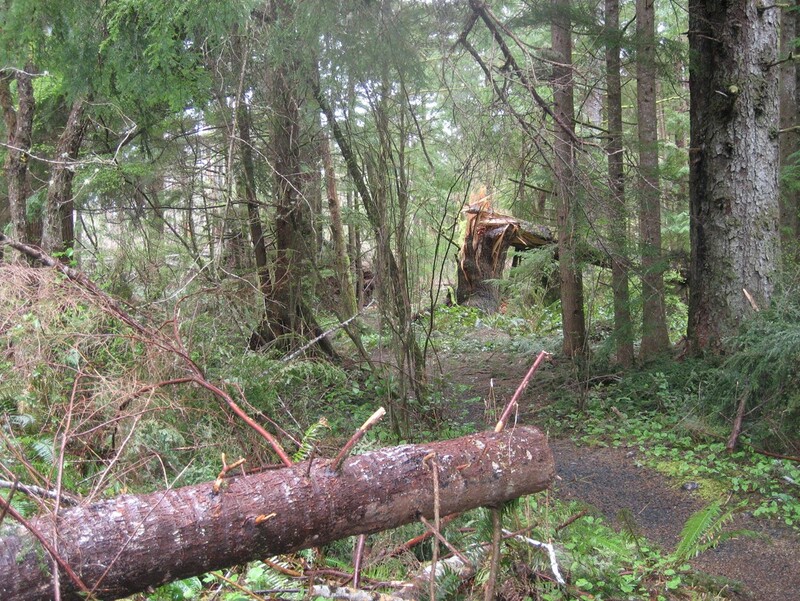 We weren’t able to walk too far before the trail was completely blocked and impassable with fallen trees. We didn’t get the exercise for which we had hoped. 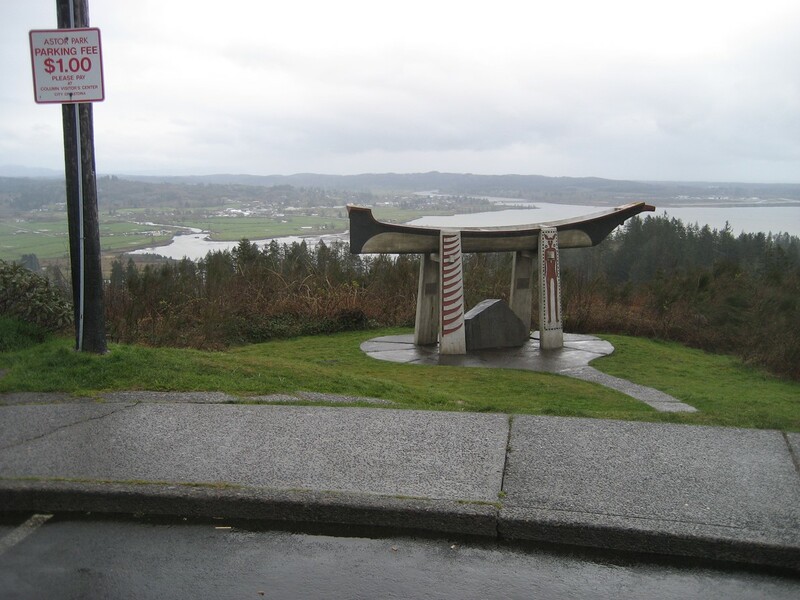 We returned to the car and headed for Astor Park high upon a hill. 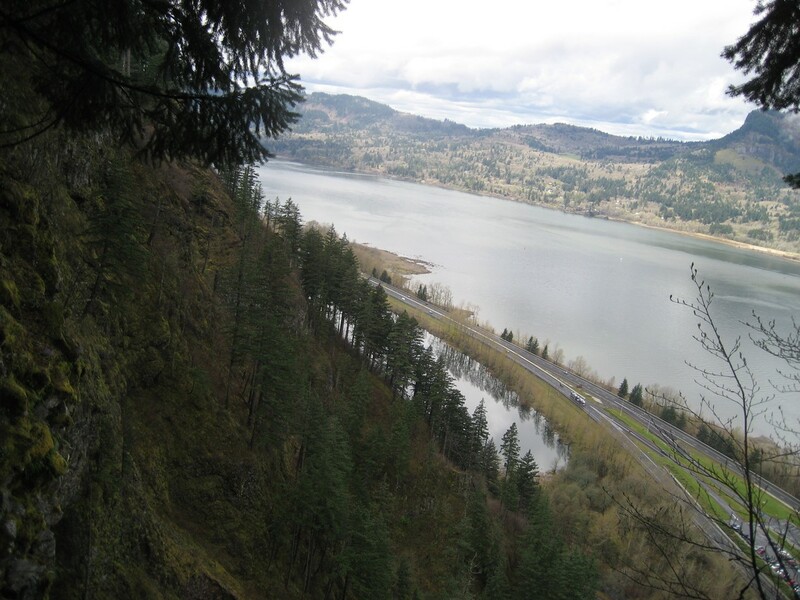 This is an observation area looking down on the mouth of the Columbia River. 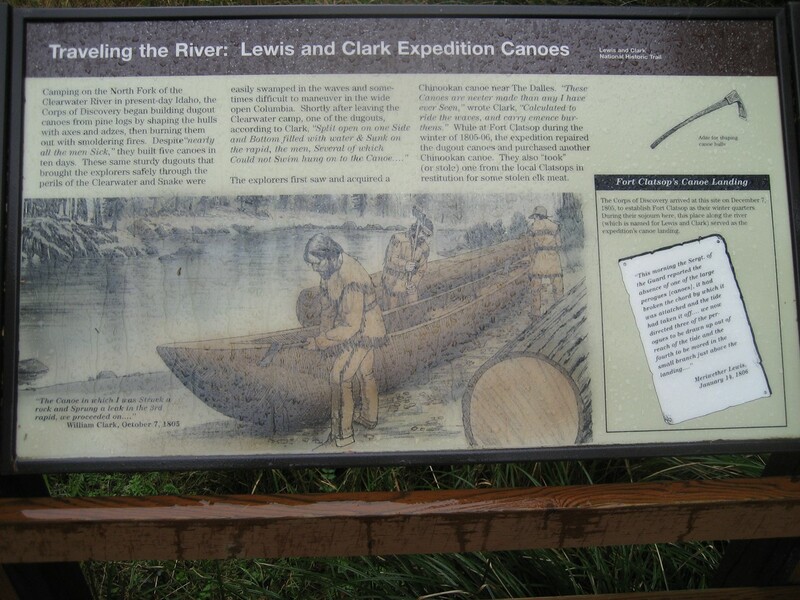 The plaque below traces the journey of Lewis and Clark. 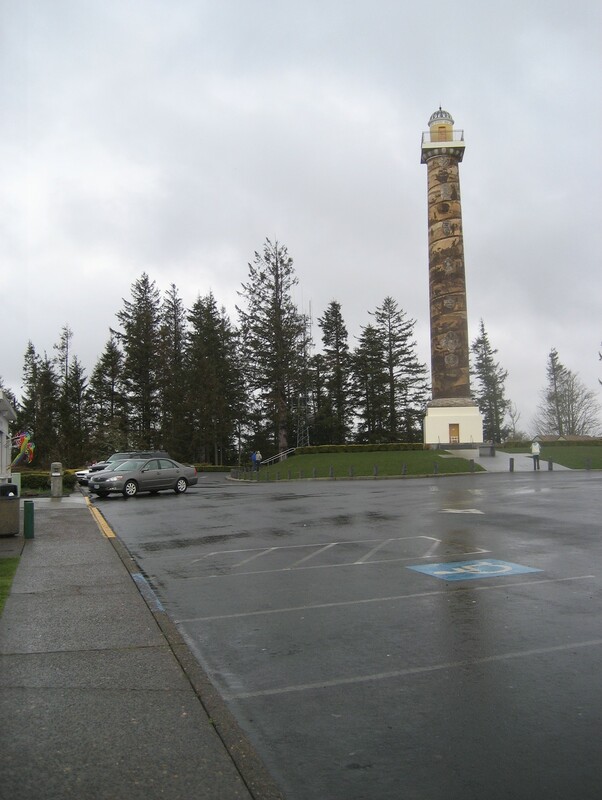 Still looking for some exercise, we hoped to climb to the top of the observation tower. Much to our chagrin, however, we discovered that the tower was closed for maintenance. This just wasn’t our day for exercise. We got back into the car for the ride back home. 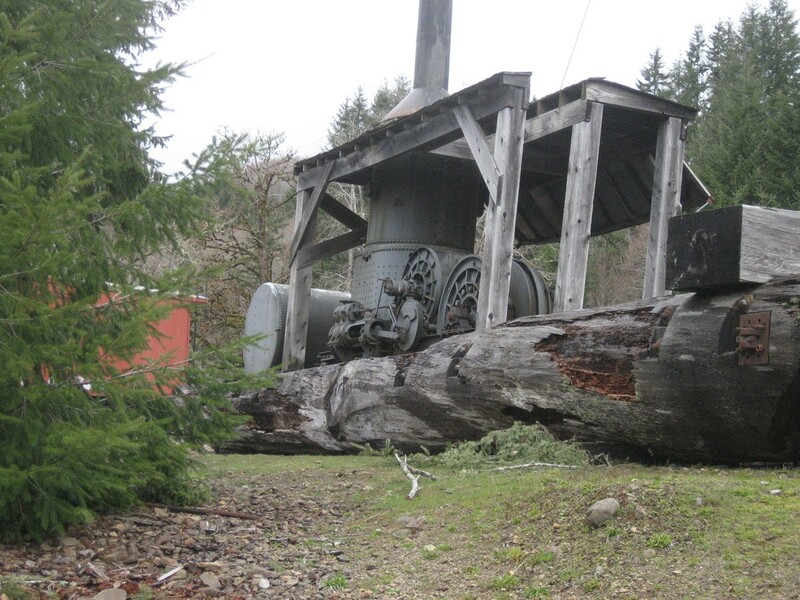 Along the way we saw frequent reminders of the storm devastation. 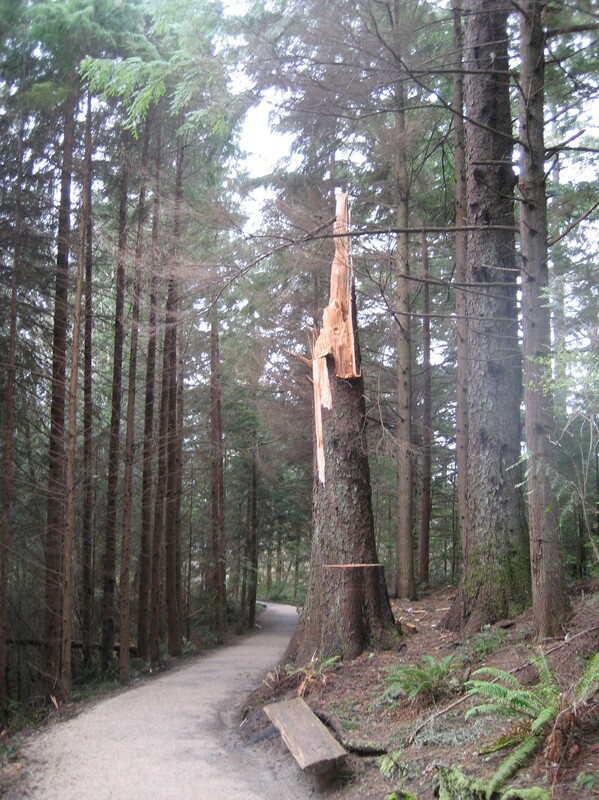 All along the side of the road were huge trees broken off like matchsticks. 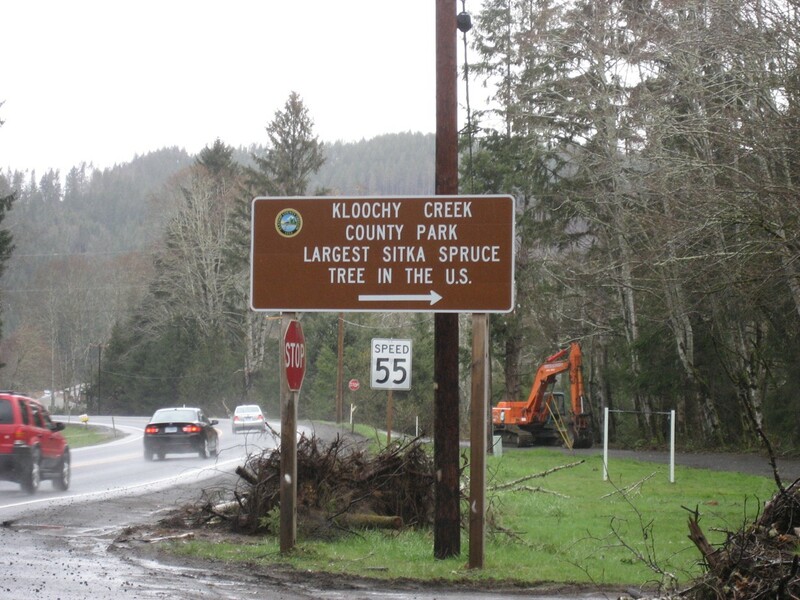 We stopped at the sight of the largest Sitka Spruce in the United States..
…only to find that it, too, had been snapped off in the storm. 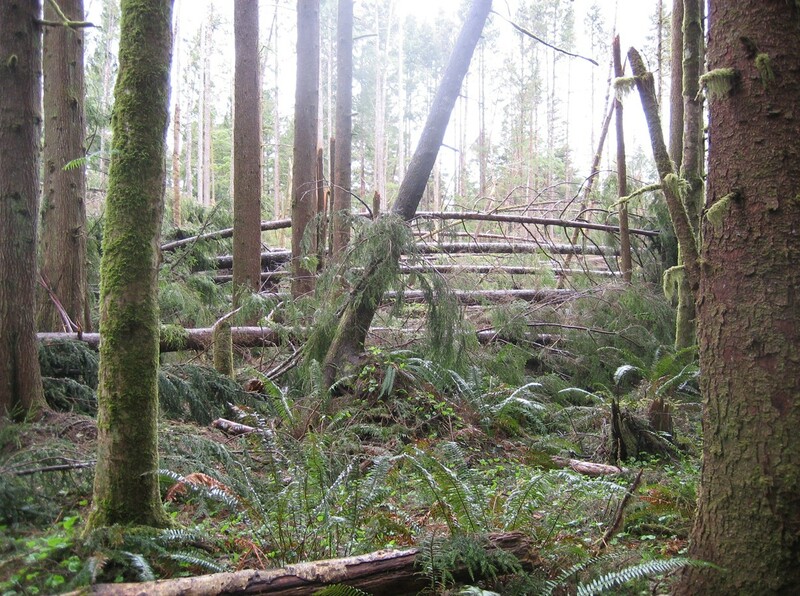 There was only a little evidence of the observation platform that had once surrounded the base of the tree. Thus ended the first day of our Oregon adventure. 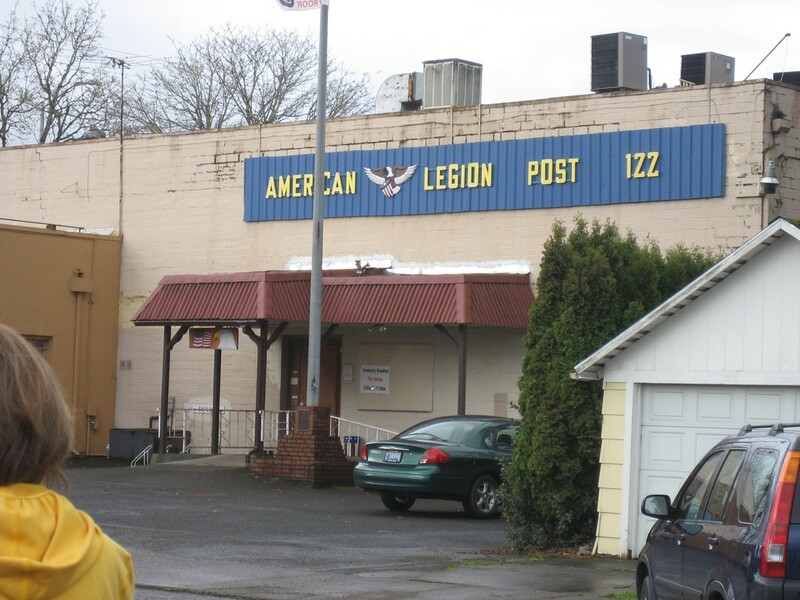 Sunday began with a memorable breakfast at the American Legion Post 122, which is managed by Tim. 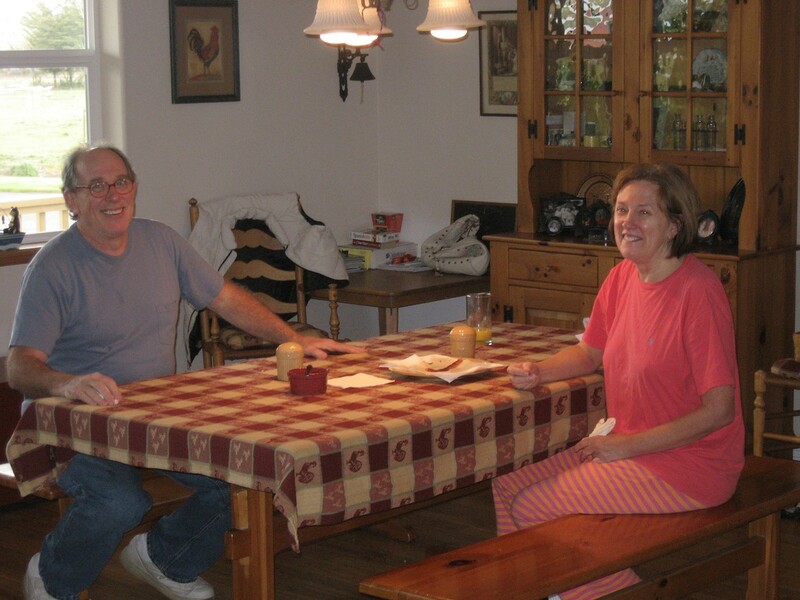 In spite of this being our first visit we were warmly welcomed and made to feel like family (which, I guess, we were). 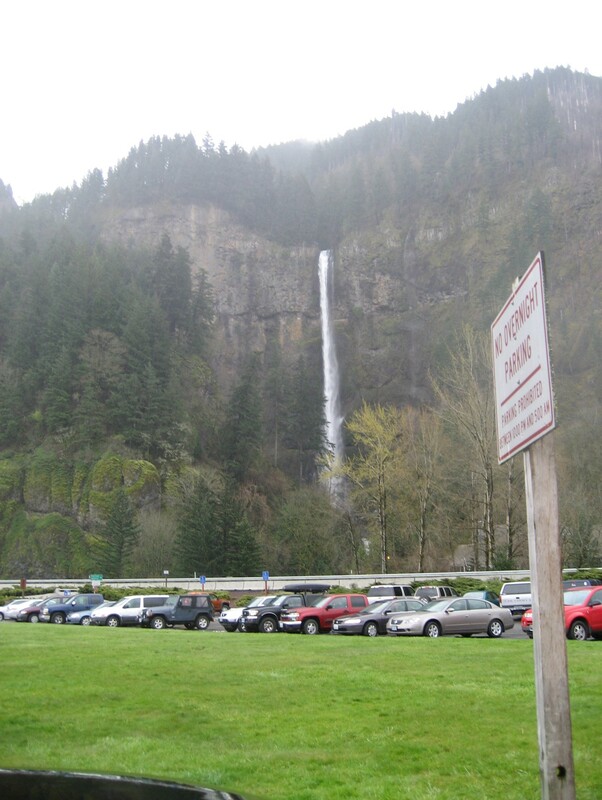 Today’s adventure was to be a visit to Multnomah Falls with an expected climb to the top. Today we were determined to get our exercise. We were told that this is the tallest waterfall in the United States. We arrived and parked just in time for a torrential rainstorm. We piled back into the car and began talking about alternative plans. It began to seem like, once again, we were going to miss out on exercise. 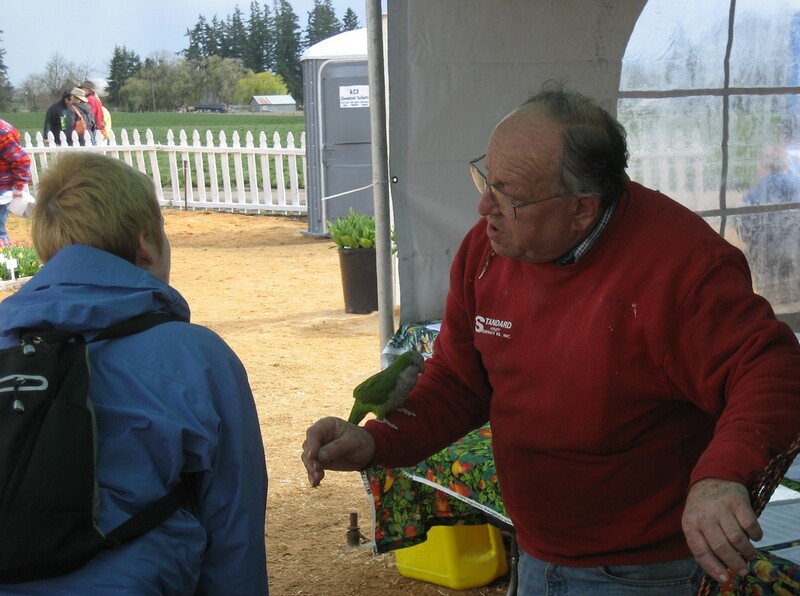 Fortunately, as quickly as the rainstorm began, …it ended. It was just a passing shower. 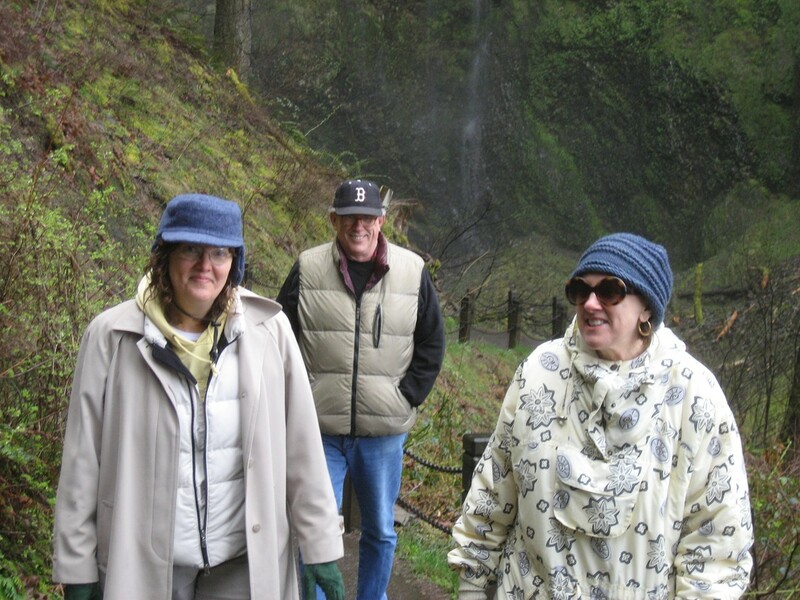 The sun came out and we headed for the falls. As you can see from our jackets, it was still quite cool and the threat of rain was always with us. 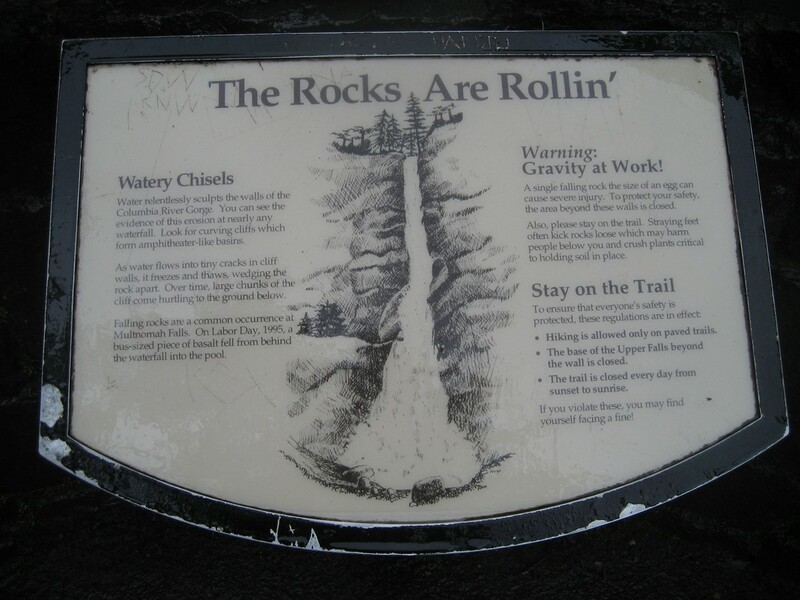 Allegedly, according to the sign below, the walk to the top of the falls was only one mile. 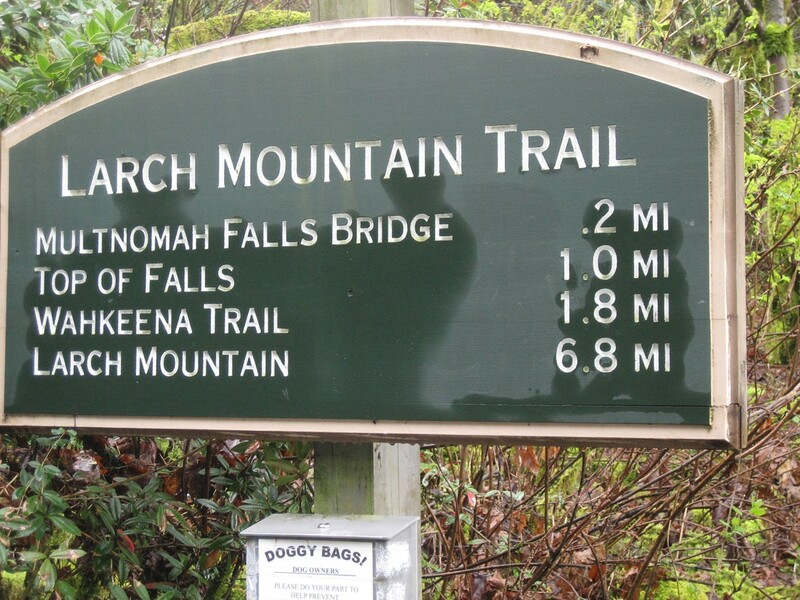 I can assure the reader that this is the longest; hardest one-mile you will ever walk. 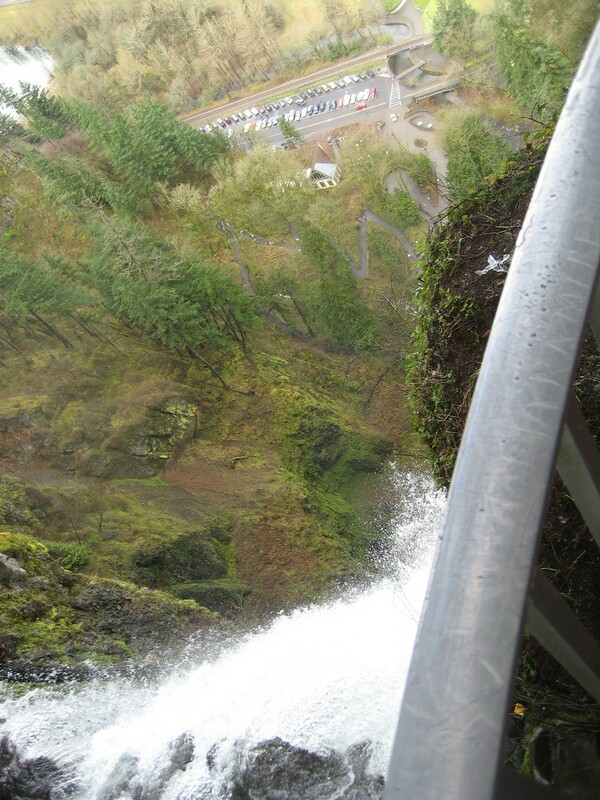 The trail winds its way up the side of the falls with continuous switchbacks. The narrow trail was not crowded, but we were certainly not alone. One couple was pushing a baby carriage up this narrow path. There were young and old alike and all were very determined; …as were we. We finally reached the top and looked down on the parking lot.. The views were impressive in all directions. 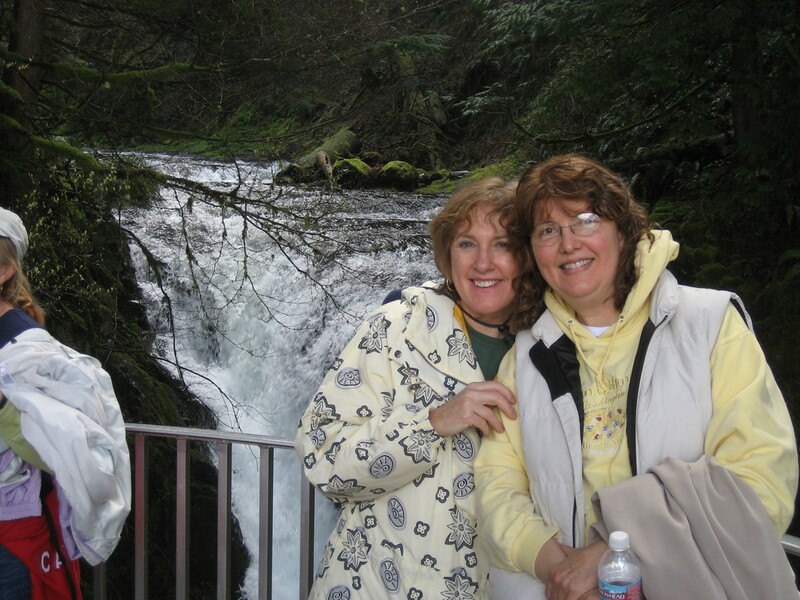 Below is a look back at the stream just before it plunges over the falls. After catching our breath and resting our weary legs for a few minutes, we headed back down the same trail we had just climbed. For those who have made such a trek, you know that walking down a steep hill is harder on the legs and knees than walking up. 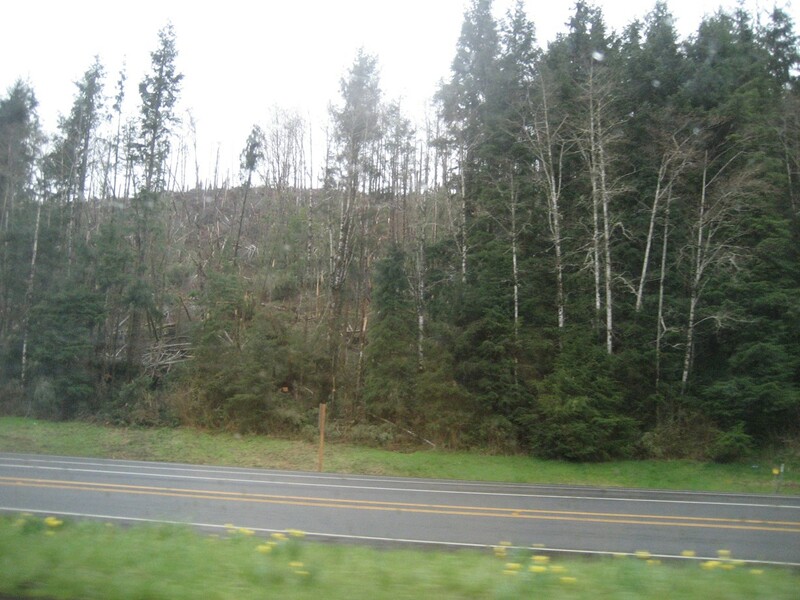 There were beautiful sights along the way. 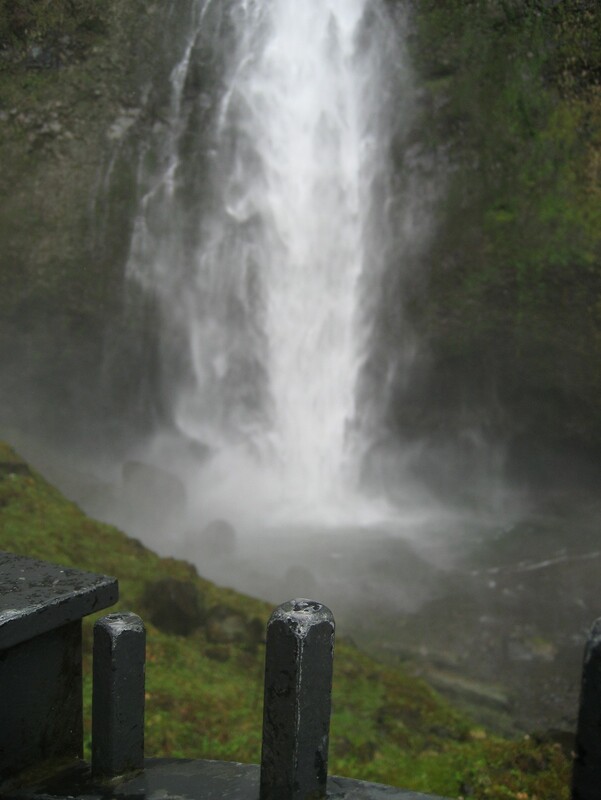 At the bottom there was a large pool of water at the base of the falls. There is a bus-sized boulder in the middle of this pool and a plaque describes the violence of the rock fall that got it there. 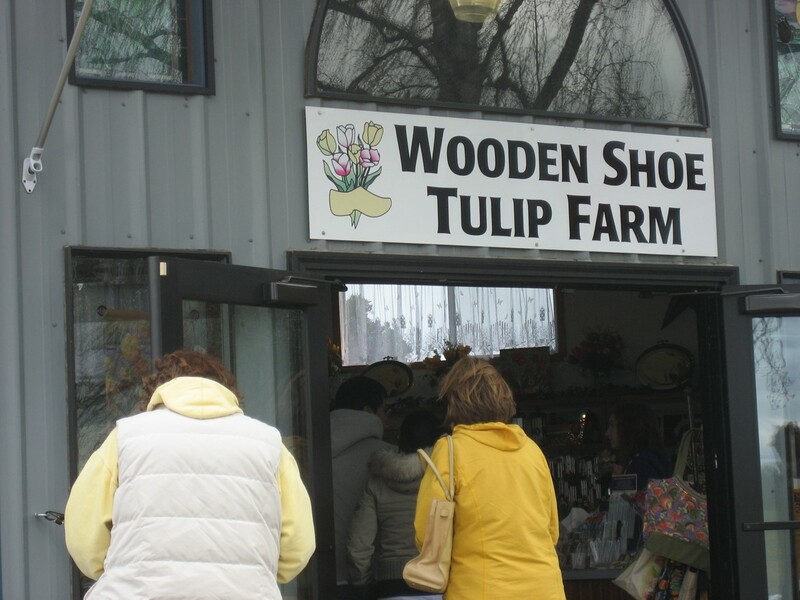 With the Multnomah Falls visit over we returned to our car and headed for our next adventure, which was a visit to the Wooden Shoe Tulip Farm for their annual flower show. There were many acres of tulips in bloom. 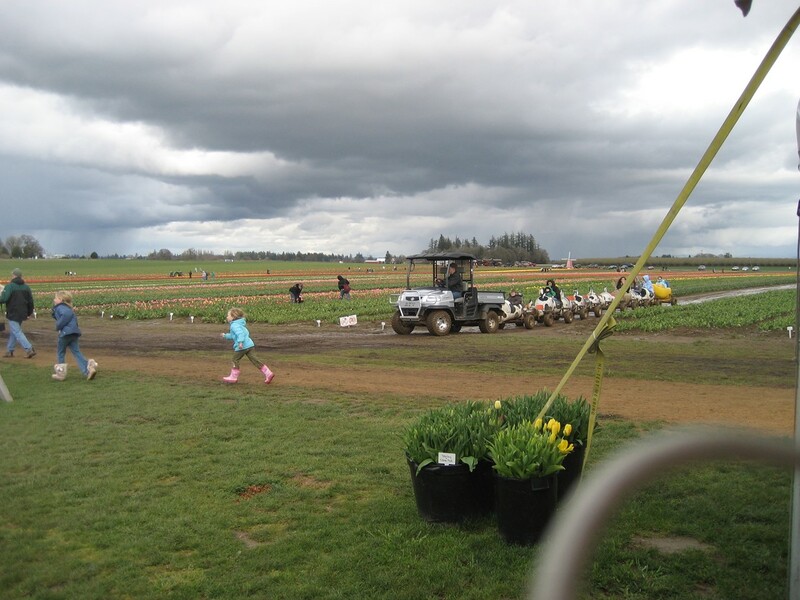 There were tractors pulling dozens of children and adults up and down the rows to view the flowers. 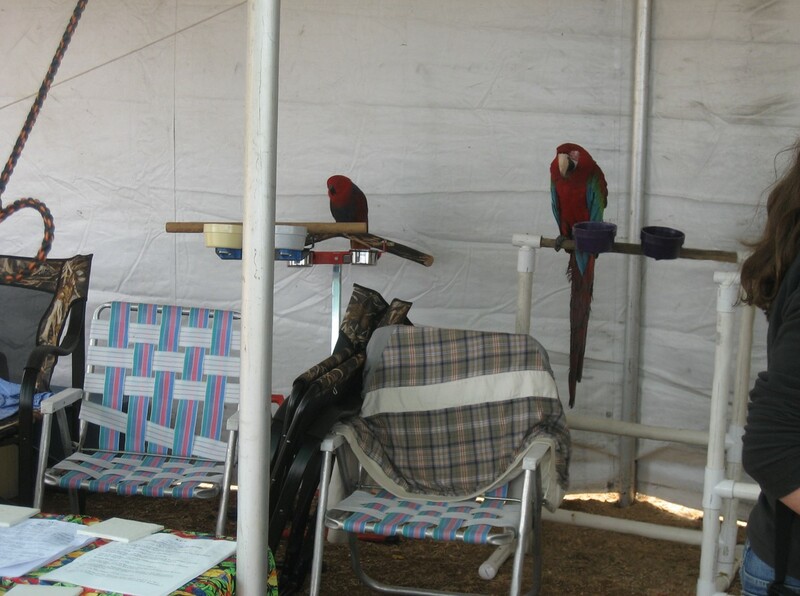 Inside one tent there were several very tame parakeets. 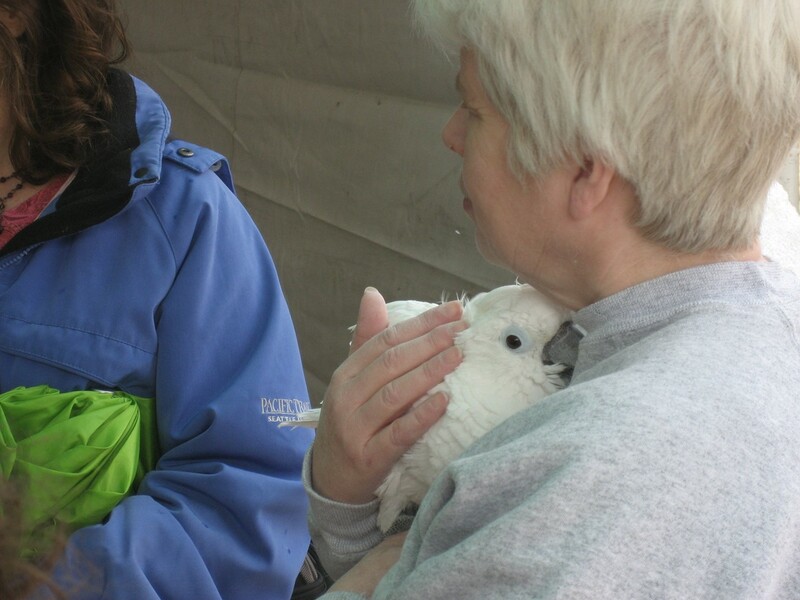 Their handlers were letting them make friends with the children who came by to visit. Thus ended the tourist part of our visit to Portland. Monday was a working day and Tuesday we boarded a flight to return to Chicago.